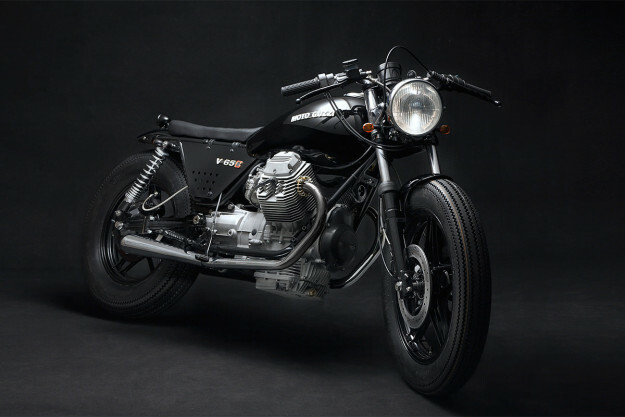 Venier’s Moto Guzzi V65: Better Than Factory? 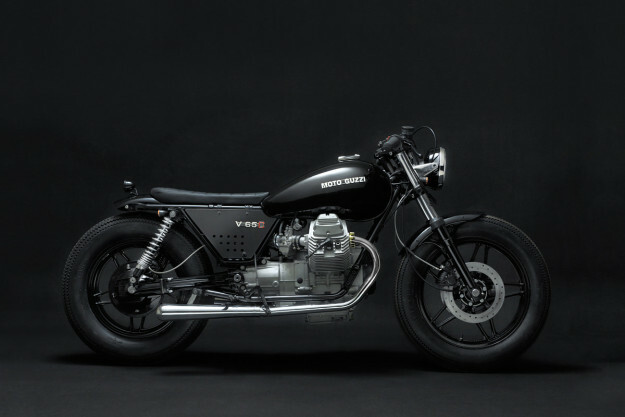 If you love the style of vintage motorcycles but blanch at the prospect of the maintenance and repair, Stefano Venier has the answer for you. 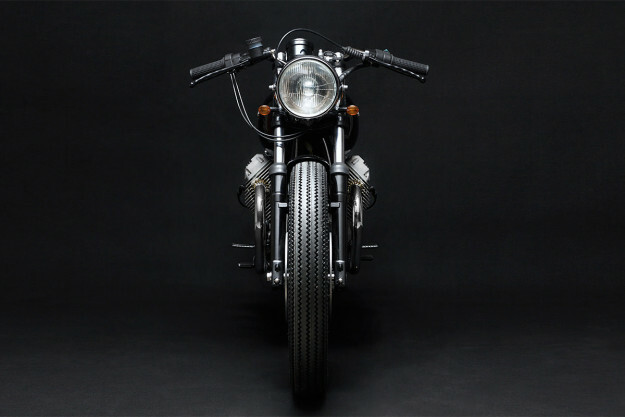 He rebuilds and restores classic Moto Guzzis, adding a touch of customization that elevates them to the sublime. 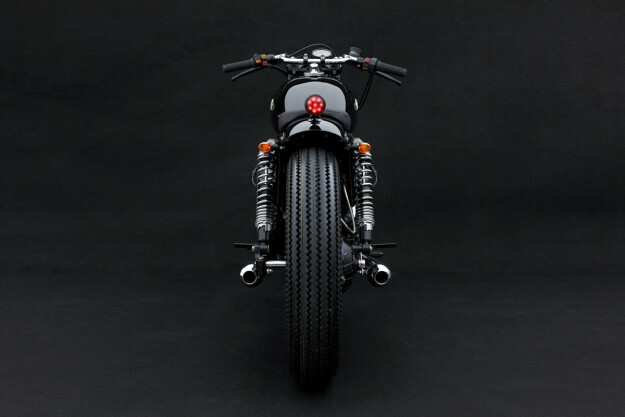 Over the past two years, Brooklyn-based Venier Customs has built five ‘Diabola’ bikes, shipping them to clients as far afield as London and Milan. And it’s easy to see why the demand is there. 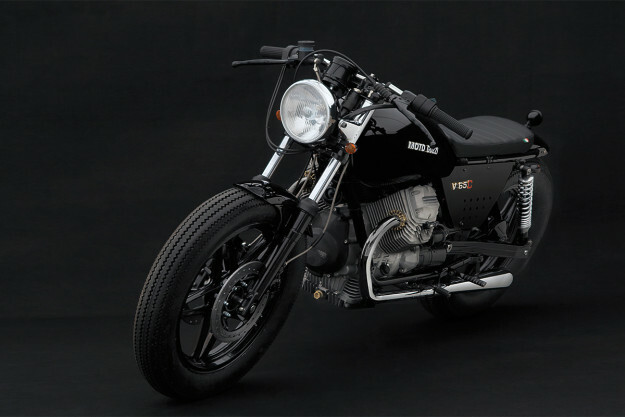 The Diabola is a completely rebuilt 1984 Moto Guzzi V65C. The ‘C’ marks it as the ‘custom’ version of the V65, but the cruiser-ish stepped seat and upright fairing are thankfully ditched. Venier starts work by completely stripping down and rebuilding the donor bike. That includes the entire drivetrain, plus the electrical and brake systems. They are restored to ‘as new’ condition, using OEM parts, right down to the lighting—and Venier’s quality control is even more stringent than that of the factory. He even replaces the headlight unit and the shocks with new-old-stock parts—which cost more than modern replacements. 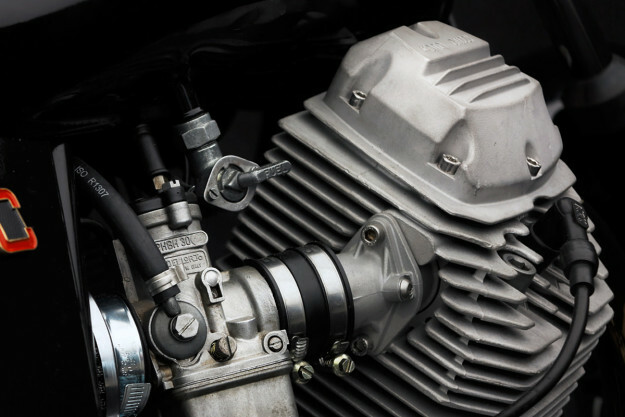 On this particular V65, every component has been restored, modified or upgraded—except the tank and the headlight brackets. 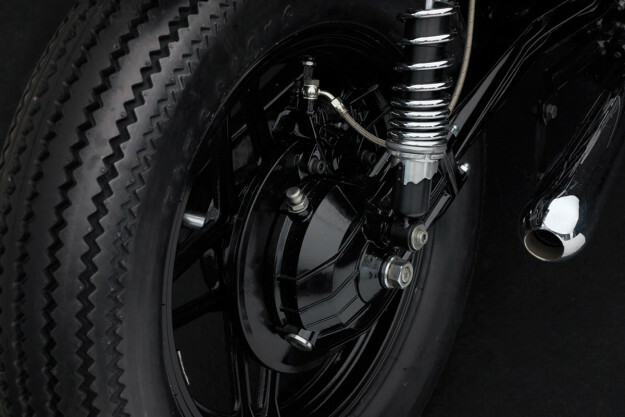 The rearsets are a prime example: after scouting around for modern replacements, Venier ended up modifying the originals. 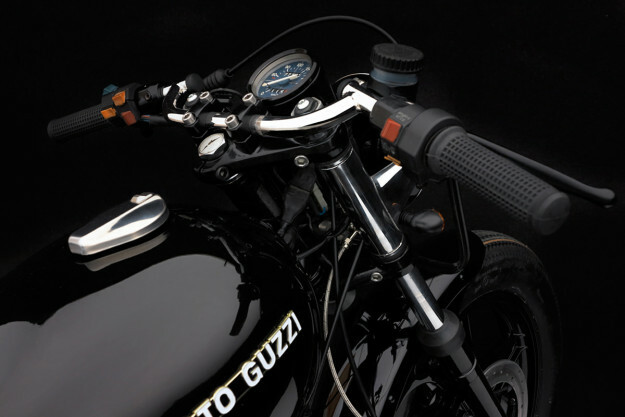 Amongst the few ‘modern’ upgrades are the mufflers and the Tommaselli Condor clubman-style bars. The aesthetic is minimal, amped up by the black finishes. What isn’t black is chrome, and that’s all been redone. Even the face of the original Veglia Borletti speedometer has been carefully revamped, losing the visual clutter but keeping the timeless style. This level of quality doesn’t come cheap. But Venier’s clients appreciate timeless style and quality craftsmanship. It’s a tricky formula to get right, but if you want a classic bike that starts on the button and brims with character, start saving now.